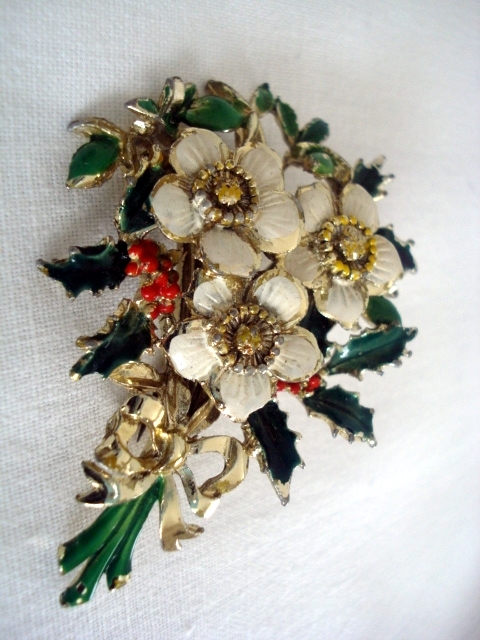 This is a cold enamel Christmas Rose pin by Exquisite Jewellery Ltd., of Solihull, Warwickshire, England. It was one of their range of Birthday Flower Brooches introduced and extremely popular during the 1960's. These pins came in two sizes with a flower for every month of the year! This is the larger sized one! The Company also had a range of Leaf pins and matching earrings, as well as many other lines in quality costume jewellery. 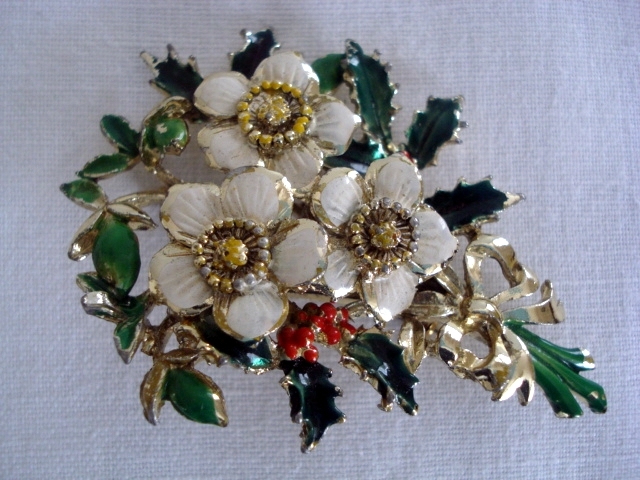 The Christmas Rose Brooch is the pin for December . It has a gold tone finish and has the classic "bow" tied around the bunch of seasonal flowers which features on all these designer pins. 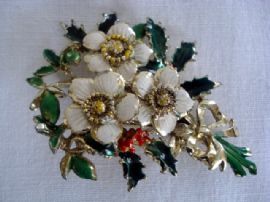 It is so pretty with its detailed Holly leaves and berries in green and red contrasting with the white and yellow Christmas roses. It is in good vintage condition with a little enamel wear to the yellow stamens in the middle of the flowers and a very slight loss of green from the edges of the stems. What a great gift for Christmas or for someone with a December Birthday! 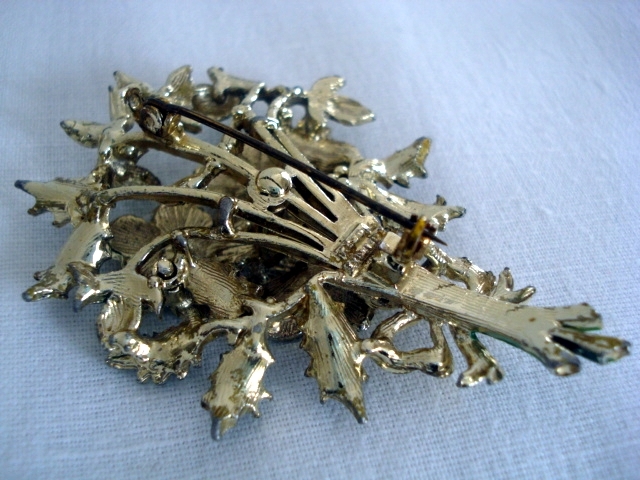 These signed vintage pieces become scarcer as collectors snap them up - make sure you don't miss this beautiful vintage brooch! Approximate measurements are 6.5cms (2.5ins) by 4cms (1.5ins). This item fastens with a rollover type clasp.